The new service, which should launch later this year, is aimed at smaller customers hoping to outsource revenue cycle management, a spokesperson said. A want ad recently appeared on the website of Verona, Wisconsin-based electronic health record colossus Epic Systems Corp. for "bright, motivated individuals to join our new billing services team as we enter the world of medical billing." The ad notes that Epic is seeking billers who have good communication and customer service skills; are familiar with medical terminology and remittance/denial codes; are knowledgeable about Medicaid, Medicare, and other insurance guidelines, and have a coding certification or background. Applicants should also live within 45 minutes of the Verona campus. "Our goal is to simplify the payment process by helping Epic organizations with the complexities of submitting claims and posting payments," according to the ad. "Attention to detail is vital as you'll be posting payments and denials; reconciling payment files, claims, and statements; resolving posting errors; and calling payers to follow up on outstanding or unpaid claims." The ability to offer billing could be a boon for Epic's efforts to grow its business with resource-strapped small hospitals and physician practices. The company is targeting organizations such as those as it rolls out the new streamlined EHR versions it announced earlier this year: a mid-range "utility" version, and a system called Sonnet whose scaled-back features and lower price point could make it appealing to smaller providers. "We’re finding that people need different things," Epic CEO Judy Faulkner told Healthcare IT News at HIMSS17 in February. "If you are a critical access hospital, you don’t need the full Epic." The value-add of billing service could make the choice for a simpler EHR that much more appealing. 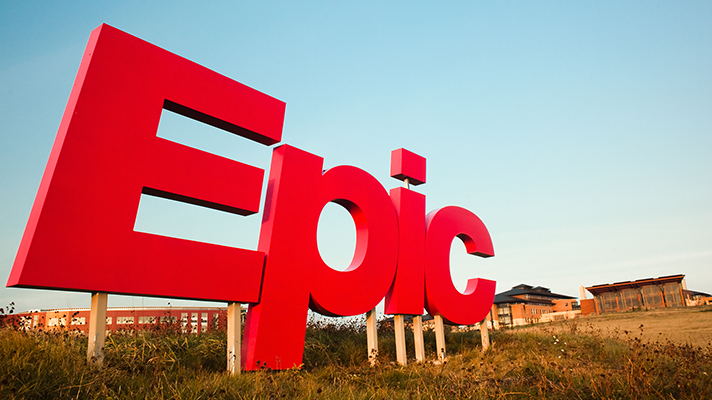 "With a billing presence across all 50 states, Epic is well-positioned and excited to share our best practices and take on some of the billing work, and associated IT functions, for our Resolute Professional Billing customers," said Epic spokesperson Meghan Roh. "Launching later this year, this new offering will help those who are struggling to scale their billing services, looking to keep a light operational footprint, or those who are just simply hoping to step away from revenue cycle management," she said.